Central government cuts force local authorities to break children’s services and social care budgets by over £800 million, while school reserves are now £180 million in deficit. 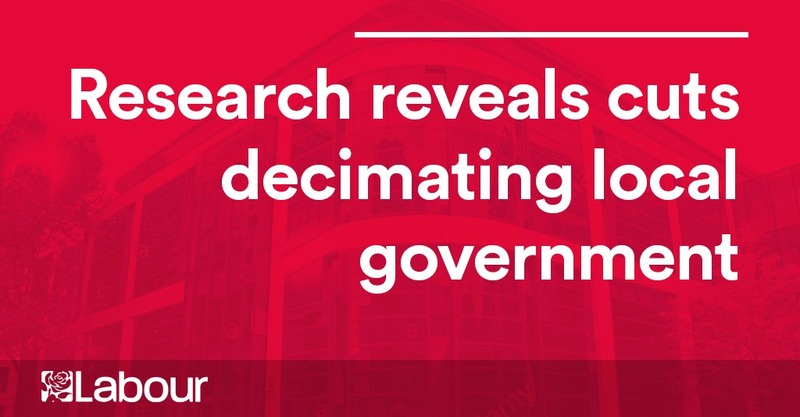 Local authorities are being forced to overspend on their budgets for children’s services and social care, and run a huge deficit in their reserves for schools, due to local government cuts, figures compiled by the Labour Party show. In 2017/2018 local authorities spent £816,554,685 over budget on children’s services and social care due to growing demand, and were forced to make cuts elsewhere and draw on reserves as a result. Across England school reserves are £180 million in deficit. This comes at the same time as Conservative-run Northamptonshire County Council has effectively been declared bankrupt twice and Tory neglect of local government has led to Conservative councils in East Sussex, Somerset and Surrey cutting services to the bone in an attempt to avoid the same fate. “James Brokenshire must use his speech on Monday at Tory Conference to commit to rapid change in direction. The Government can no longer ignore this crisis. “Unless we see additional investment into local services and local government, councils will be in an impossible position and more will follow Northamptonshire into bankruptcy. 4. The LGA warn that by 2025 the funding gap will grow to £8 billion unless we see a change in direction.